To truly make an impact on these shoppers throughout each stage of the car buying process, dealers need to have content which appeals to buyers, that makes those buyers desire to take action, and that helps lead them down the road to their dealership. At each stage in the process, dealerships compete for consumer eyeballs. While some dealers will rely on stock information for their vehicle descriptions, others may actually take the time to write custom comments. Some will have a limited number of photos of a vehicle, while others may include 40 or more. The problem is that, to the consumer, every vehicle is almost always one of many in a list that’s typically sorted by price. So, you can you differentiate your Honda Civic from the thousand others for sale in a market? Statistics show that we remember 20 percent of what we hear; 30 percent of what we see; but a whopping 70 percent of what we both see AND hear. The more of a customer’s attention you can grab, the more likely that YOUR vehicle will catch and hold their attention. Descriptions alone can’t achieve this. You’ll be lucky if they even read the whole thing. And forget about a customer flipping through 40 photos. Chances are that they will browse through a few before abandoning that VDP and moving on to the next one. And the next one may or may not be yours. The only way to maximize your shot at attracting and keeping interest is through a combination of sight and sound – and that’s where video comes in. Video has the unique power to tell stories. Whether those stories are about the vehicle, the salesperson, the dealership, or a plethora of other topics, no other medium is as powerful. With video, you can tailor your story to a specific person. Few marketing tools have more influence on a car shopper than a vehicle video walkaround, specifically made for that customer. Think of how much more effective an e-mail response is that contains a personalized video greeting, over the multiple canned email responses they probably receive from your competition. Consumers aren’t stupid. They realize that these type of e-mails are not authentic responses to their inquiries. Chances are that just about every one they receive from multiple dealers contain very similar messages. Video will give your dealership the edge. The consumer can very quickly see that they have received an authentic response. And that the salesperson, or BDC rep, took the time to make a video specifically for them! It’s time to up your game. Make an impression that is meaningful, authentic and personalized. 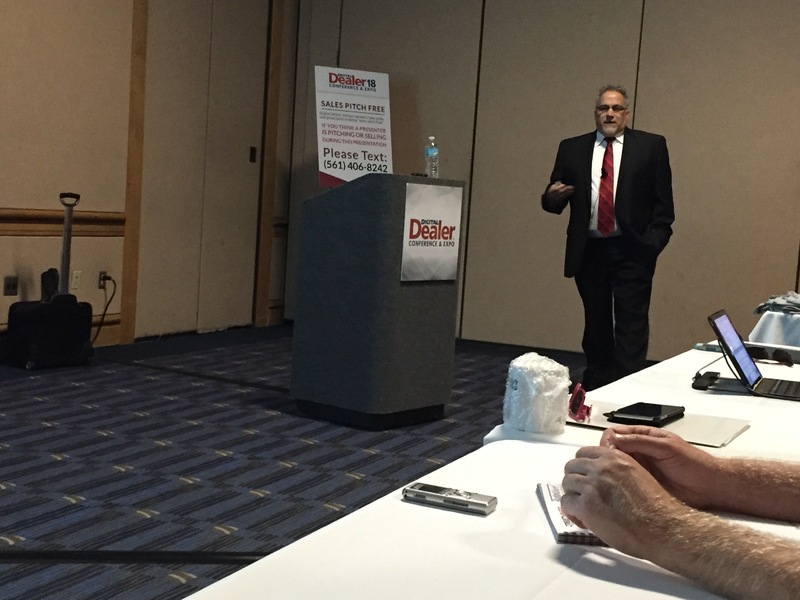 In my session at the 20th Digital Dealer Conference & Exposition, “The Four Best Ways to Use Video: Learn a Video Marketing Strategy that Sells,” I explain just how crucial video marketing is to a dealership’s success. I will also talk about the importance of having an identified, measurable and scalable video marketing strategy. While video content doesn’t have to be difficult to produce, there is certainly more to it than simply running out and buying a camera. Join me in my session and you’ll leave knowing how to leverage the power of video to sell more cars. As the sun sets on another Digital Dealer Conference, once again Flick Fusion is proud and honored to have participated. 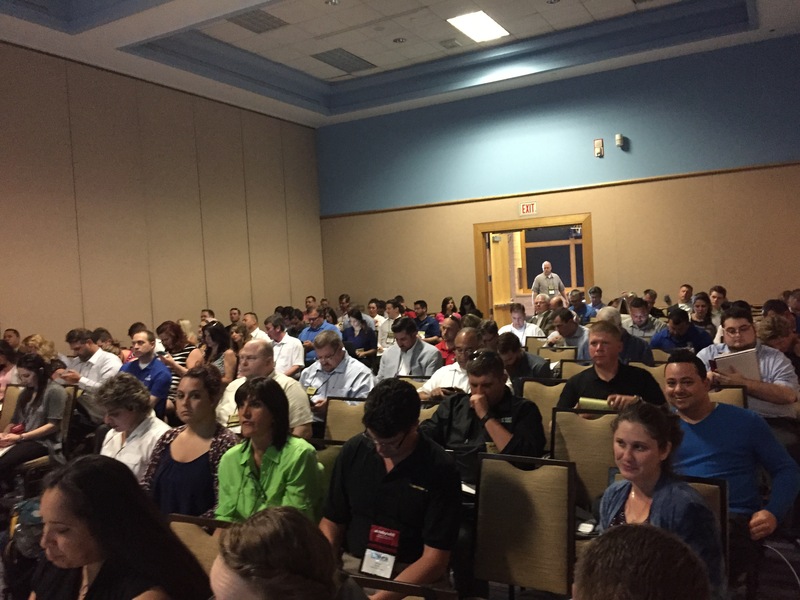 This spring’s conference saw a new location: Tampa, FL. We feel it was an excellent venue that offered just the right balance of hotel accommodations and some wonderful nightlife venues for dealers and attendees to learn some new best practice tips while also having a little fun. 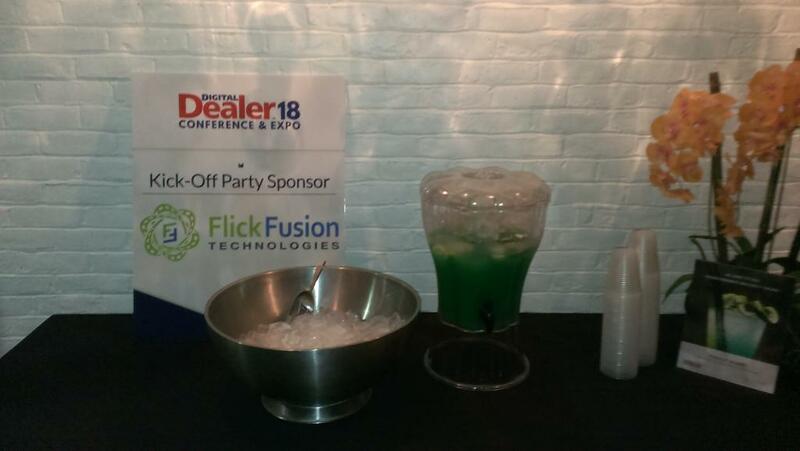 Flick Fusion’s adventure began as a sponsor or the official Digital Dealer Kick-Off party on Monday night. 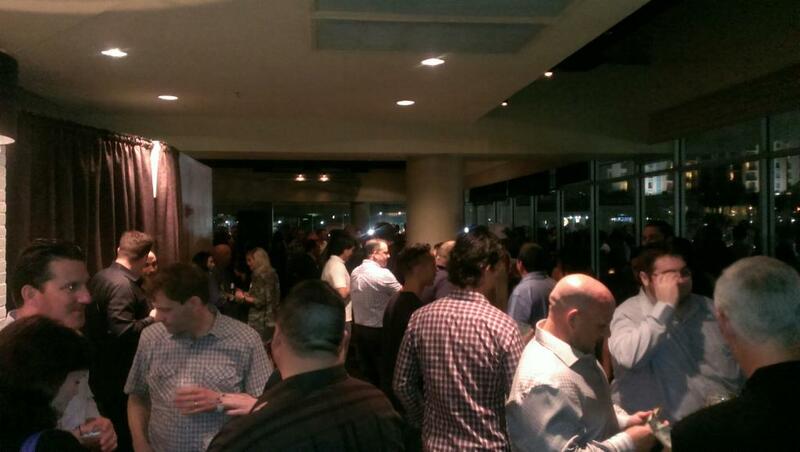 The event itself drew over 600 RSVP’s and was a great success. Dealers and vendors had the opportunity to partake of our signature drink – the Fusion Bomb. This drink proved incredibly popular and it was great to see party goers sporting the Flick Fusion colors as part of their drinks. A live DJ kept the party hopping and the venue – Jackson’s Bistro – turned out to be an excellent venue; both for the spectacular waterfront views and delicious food. Wednesday highlighted the prime reason that Flick Fusion attends – to educate dealers. Speaking to a packed room, perennial speaker and Flick Fusion’s VP of Sales, Tim James, educated dealers on the importance of video marketing. Attendees of the lively, highly popular session were provided with all the statistics that truly illustrate the true value of video marketing. They left with step-by-step instructions as to how to immediately implement a video marketing campaign in their stores. If you’d like a copy of this powerful presentation, click here and fill out the contact form. 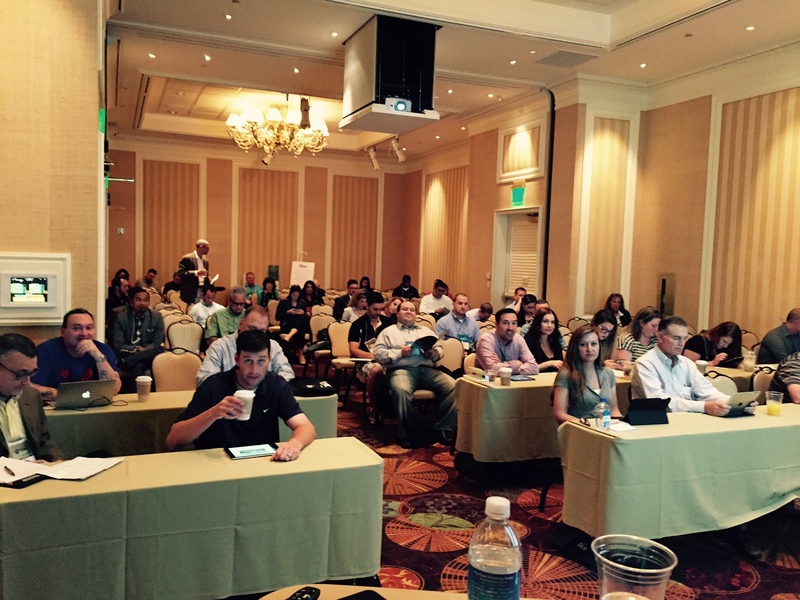 Thanks to the staff of the Digital Dealer Conference for putting on one of the best Digital Dealer Conferences ever. Feedback has been very positive from vendors and dealers alike. And thank you to all of the attendees who flocked to the exhibit hall and kept the booths packed. Also, thanks to everyone who came to see Tim James’ session. 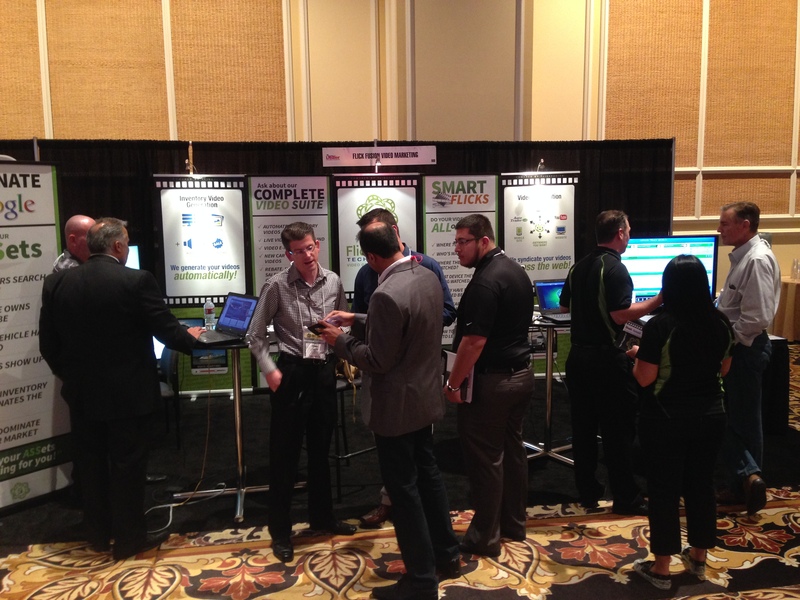 See you next time at the 19th Digital Dealer Conference in Las Vegas! The sun has set on another fantastic Digital Dealer Conference in Las Vegas and we’re extremely grateful to have been able to share our knowledge, expertise and services with the thousands of attendees. As usual, the Mirage Hotel was a great venue. 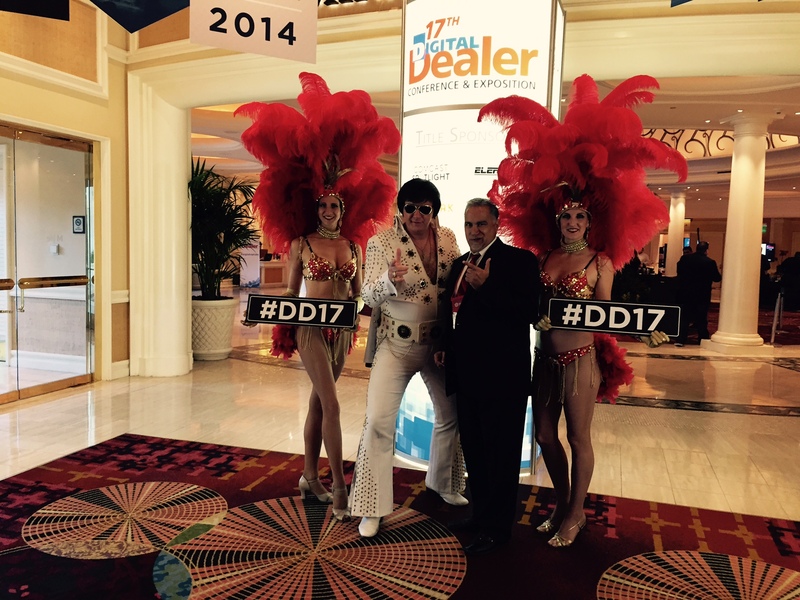 The team at Digital Dealer did an excellent job managing the event with new ideas designed to facilitate operations, and unexpected surprises designed to welcome attendees. Elvis & a couple showgirls awaited registering dealers in the foyer. Of course, our VP of Sales, Tim James, couldn’t pass up the opportunity to get a quick picture. Flick Fusion was fortunate enough to kick off the show with Tim’s session “Video Marketing Tips, Trends & Practical Uses.” A packed room of attendees learned about the importance of having a video marketing strategy, along with multiple ways to implement one. As Tim polled the audience to see who was taking real video of their inventory, those who weren’t received a wake-up call! The interactive session saw a lot of questions regarding how dealers could start and attendees left with a better understanding of the importance of video marketing in today’s world. During exhibit hall hours, the Flick Fusion booth was continuously filled with dealers interested in hearing about our suite of products, including our latest offerings, VidMail and Timeline Marketing. We saw hundreds of dealers over the course of the show and some were so impressed that they signed up on the spot. Our Samsung Galaxy camera giveaway was a big hit especially when we demonstrated how easy it was to utilize this technology in their video marketing. 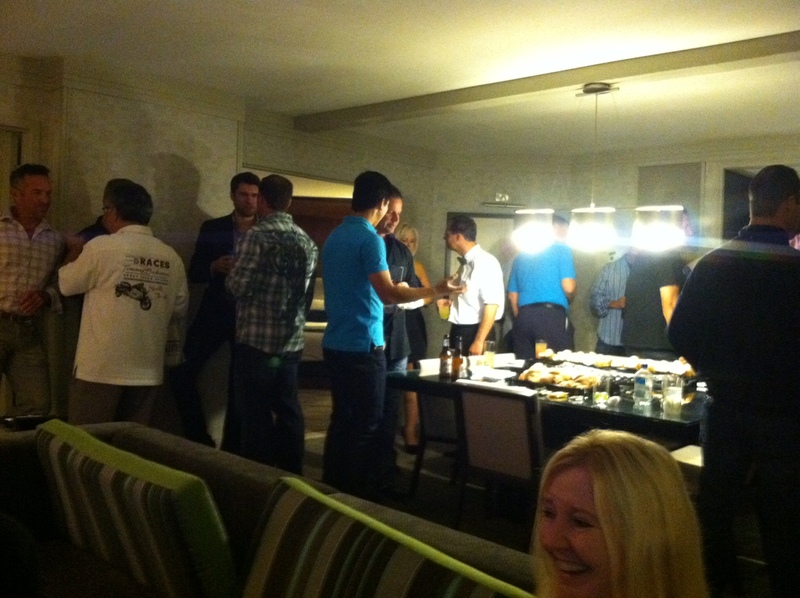 The week culminated in our VIP party co-sponsored by our friends at LiveEvent Stream Automotive. We sincerely enjoyed hosting the many dealers who attended and had an excellent time networking with old and new friends alike. Thanks to everyone at Digital Dealer who helped organize another excellent show. And to all of the dealers who came to see us. See you in Tampa for the next Digital Dealer Conference!